In 2015, five friends (Marion Booth, Jo Hindley, Kellie Jones, Brian McGovern and Dan Skeates) had a conversation about the number of rough sleepers on our streets. We were so concerned about the situation that we wanted to do something to help and in November of that year, Chelmsford’s first ‘Rucksack Project’ event took place. The Project was a huge success and over 300 rucksacks were donated which were then distributed to rough sleepers throughout Essex. 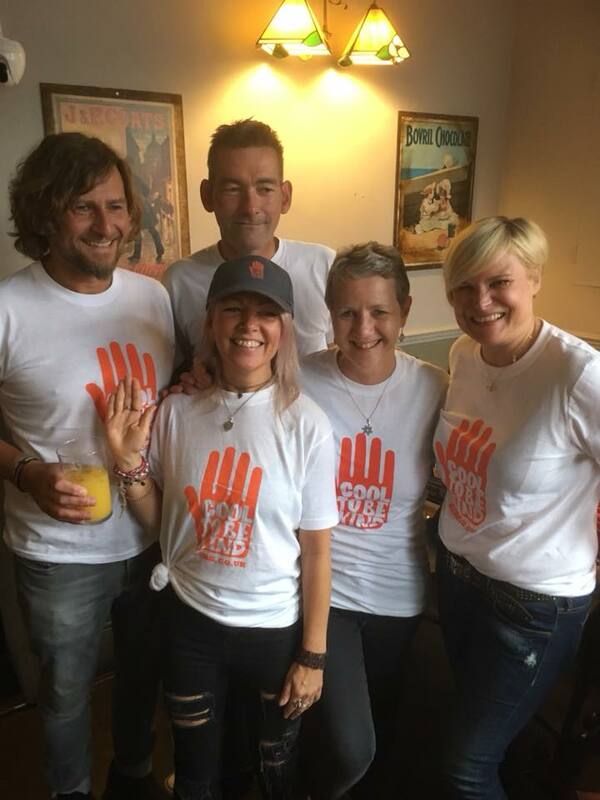 After our second event in 2016, the group decided that we wanted to widen our scope of support and to try and achieve more and so ‘Cool to be Kind’ was formed’. The third Rucksack Project appeal took place in 2017 at which over 400 rucksacks were donated. 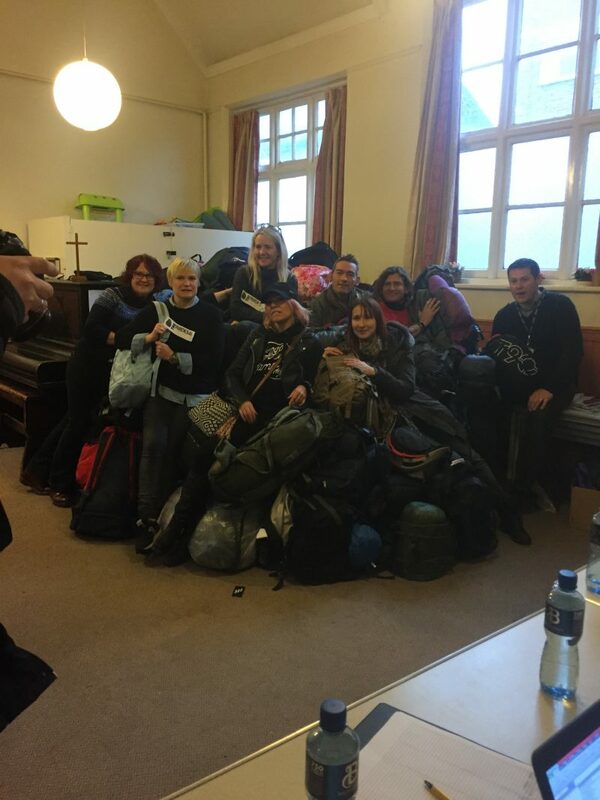 Such a vast number of rucksacks meant that we were able to distribute many to other homeless support groups in Essex, Cambridge, Suffolk and London. In 2018, Cool to be Kind continues to grow. We support rough sleepers throughout the South East by liaising with other homeless support groups and providing them with rucksacks for distribution on their streets. We work closely with Sanctus, a local charity which feeds the growing number of homeless, hungry and vulnerable individuals in our City. They run a free café with food provided by individuals and local companies, some of whom we have put in touch with Sanctus who now regularly provide food to them. These include the Aussie Barbeque Company Ltd and the Rustic Deli, a Romanian delicatessen. We have an affiliation with Help the Homeless Chelmsford, who provide outstanding outreach work. They meet every Sunday evening in relaxed surroundings in the town centre. In a designated spot, they serve hot dinners, cakes/puddings, sandwiches and packed lunches, hot and cold drinks. Some of their meals are kindly donated by restaurant/eateries such as Fancy Fry, Mrs Cod. The rest are cooked by volunteers and they always welcome offers of help! Rough sleepers often need toiletries, clothing and bedding items. Things given out include: toothbrushes and toothpaste, wet wipes, roll on deodorants, razors, shaving cream, shower gel, sanitary items and, by way of clothes; socks, underwear, t-shirts, jogging bottoms, jeans, hoodies, dresses and shoes. They take out sleeping bags, tents and duvets when requested. Some of these items are provided by C2BK, from our stock. Sometimes, during a conversation, they realise that the guys and girls might need some extra help in some way, and they endeavour to put them in touch with the relevant people. Most importantly, their outreach work offers a non-judgemental listening ear to rough sleepers in Chelmsford and an opportunity for them to connect with other members of the public, feel a sense of belonging, knowing that they are cared for and that their plight is unforgotten.